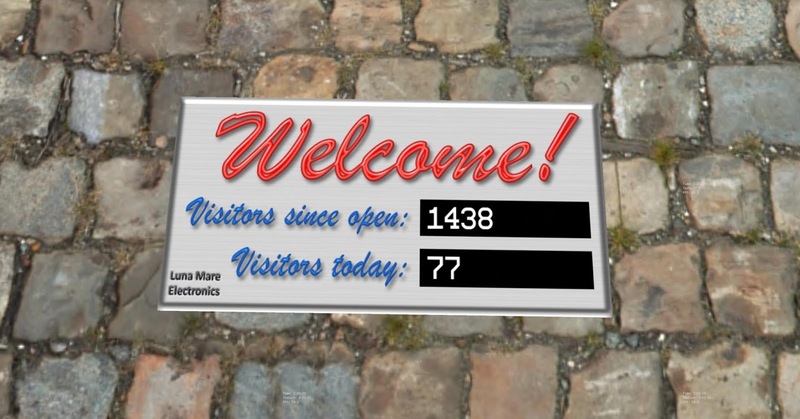 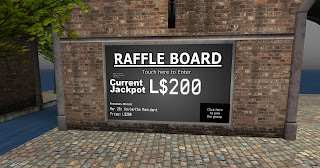 There is also a raffle board on the wall that at the time of this writing has a prize of 200L$ on it and the only thing you have to do to enter is join the group. 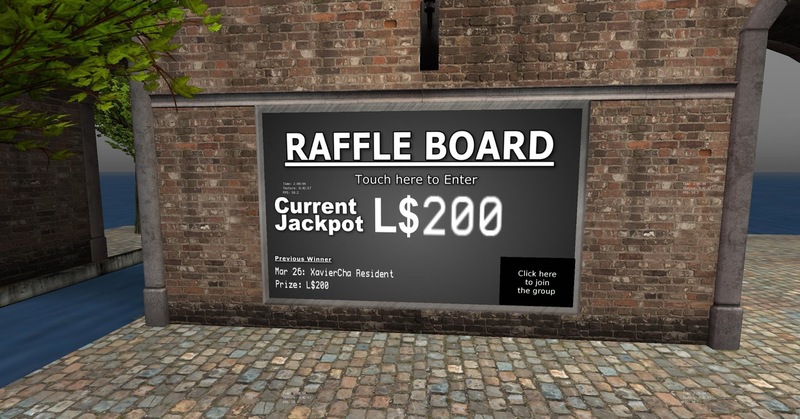 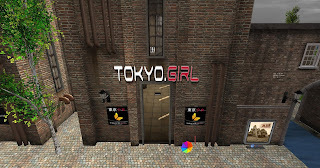 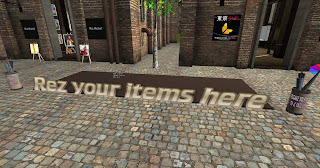 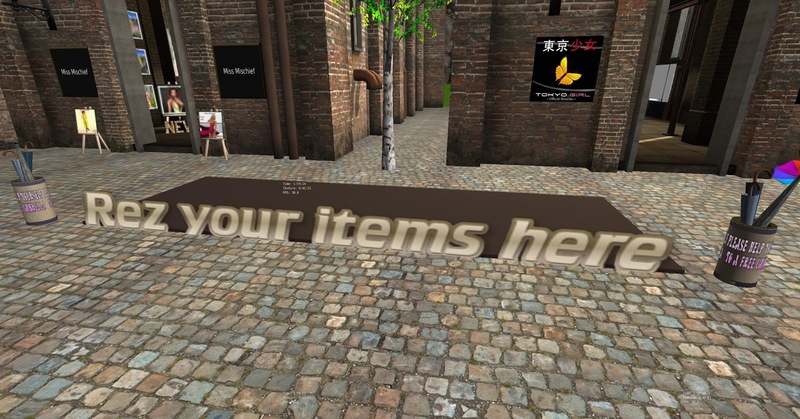 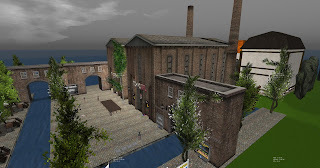 They also have stalls for rent outside in case you are looking to start a new business in Second Life or if you have an existing one and are looking for a nice spot to place a stall. 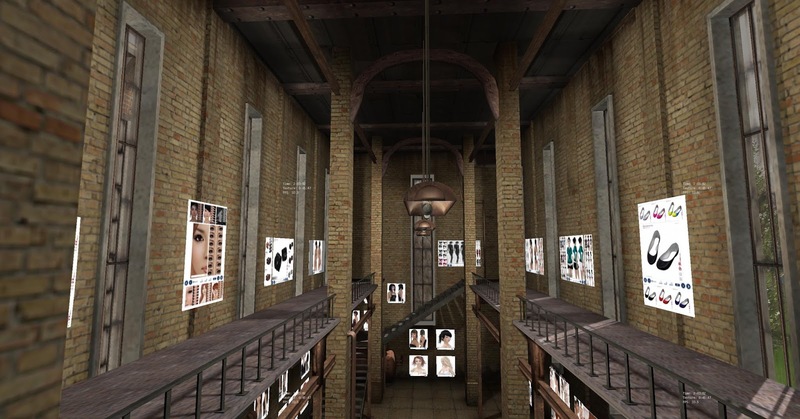 The stalls fit in with the factory theme and look really nice. 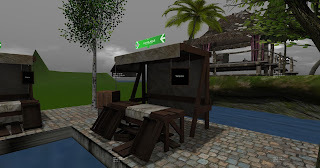 On the land behind the stall you can see Meshy Bishes Tiki hangout with free photo studio for public use. They also have a rather nice looking Gatcha machine with umbrellas in them that actually go up like a real one and your avatar holds them correctly even when you walk which is really nice. 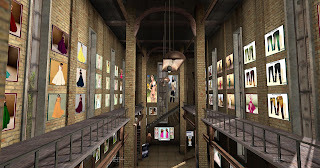 Here are 2 views of the factory stores both close up and further away showing how nice they look. 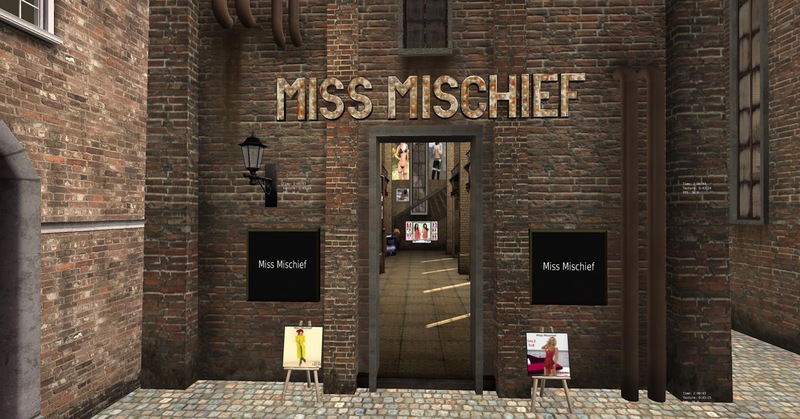 You can see by the traffic counter that a lot of people have already checked out Miss Mischief and Tokyo Girl stores because of the quality of the clothes and hair etc. 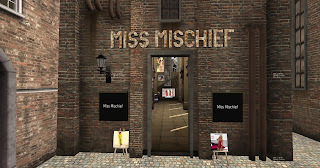 They really are nice outlet stores with a great range in for not being a main store. If you want to check out a smaller less crowded store than a main store jump on the location above and head on over.